Probably better using cheaper soap! Guess you’re in a rush so I’ll cut to the chase. This applies to domestic and commercial leaks, and most of it is common sense. The first thing for you to think about, “is it safe”? If there is a fire risk, or for example the vapours are overwhelming, then stay safe, keep clear and call the fire brigade. If there is no obvious reason to worry then phone an expert (heating engineer, spill responder, your insurer, and/or environment agency) and find out to do to make sure that risks have been dealt with. Solution 1– Turn off the source- Find the tank, find the outlet(s), all should be fitted with a stop tap, twist the tap until it closes and stops the flow. If possible collect the oil in any available containers e.g. bins, or restrict the movement of the oil as best and safely as possible. Solution 2– The tank is leaking- Decant(transfer) oil in to a suitable container to below the level of the leak. Solution 3– Repair the leak temporarily (or permanently if you’re skilled enough, I’d guess skilled people won’t be searching the internet for this answer though??). 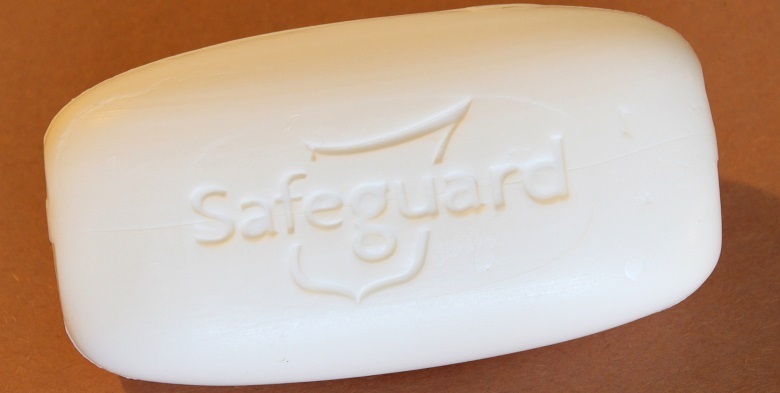 SOAP is often the best answer, especially for oil tanks, jam solid soap into the crack, best applied like you would grate cheese, push the soap across the crack forcing soap to block the gap and stop the leak. Please don’t try liquid soap…. A final tip- cat litter is pretty good at absorbing oil. You might find the White Paper below helpful. We’re happy to talk to feel free to contact us on 0800 0209 307 or e-mail us on info@soilutions.co.uk. 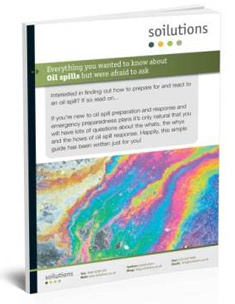 This free guide will help you understand the whats, the whys and the hows of oil spill preparedness and response in the simplest terms. Download it now for free! There are a lot of remedies out there, and more and more people using Remediation as a term specific to their field. Land remediation and its most dedicated employee the Remediation Engineer are both in the business of resolving (or remedying) problems caused by contamination in soil and water. Whether contamination poses a risk depends on the scenario, safe levels of a potential contaminant can be much higher under car parks than underneath orchards. The main difference being that people work on the soils in orchards and eat the fruit grown from the soils, are therefore more exposed to the contamination, while soils beneath car parks typically don’t come in to contact with anyone. Each of the above bullet points can be approached in several ways or in combination in even more ways. A remediation contractor / consultant should help you find the right approach. College remediation in the US of A is unfortunately the biggest hit on my Google Alerts, something we can’t help with, other than telling you to study harder. If you have any questions then please feel free to contact us on 0800 0209 307 or e-mail us. Everything you wanted to know about soil remediation but were too afraid to ask! 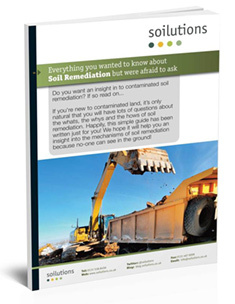 This free guide will help you understand the whats, the whys and the hows of soil remediation in the simplest terms. Download it now for free! Cleaning up contamination is not necessarily the best option to remove the risks posed by it. Removing a problem seems to be a common sense approach in life, however in the contaminated land industry it can be sensible and better for the environment to manage the problem by isolating the contamination. Impermeable barriers by definition will not allow fluids to travel through them. With this in mind, if you can put an impermeable barrier around contamination then you can prevent it from migrating in all but gaseous form. Thankfully gas issues are typically only a risk to buildings, and gas risks and resultant protection measures for buildings are well understood. Most vertical migration is controlled by gravity, or at most a membrane or capiliary break layer. Horizontal migration, i.e. via groundwater, can be controllled using a variety of impermeable barriers including HDPE barriers, sheet piles, and slurry walls to name a few. Each type of construction has it’s own merits, with the practicalities and costs of installation varying depending on shape and size of barrier, combined with the difficulties posed by both physical and chemical ground conditions. The most impressive impermeable barriers in my opinion involve in-situ soil mixing. Essentially mixing concrete in the ground using soil as the ballast. A range a additives make the barrier impermeable to the required contaminants. This technology causes only minimal site disturbance and produces little or no surplus spoil. Impermeable barriers can also be used to isolate an uncontaminated area from a known pollution incident e.g. to protect a drinking water source. Is an impermeable barrier a suitable solution for you? What type of barrier will work and provide best value for money? Feel free to get in contact and let us answer those questions for you, we’ll do it in strict confidence and handle the initial enquiry at no charge. Contact us on info@soilutions.co.uk and/or 0800 0209 307. Sign up to receive our monthly news letter straight to your inbox! Free Phase 1 and Phase 2 site investigation whitepapers now available for download! What to do with horsetail? How to classify and where to dispose of Soil Waste? Eating your way to control Japanese Knotweed? We have three free ebooks on Soil Remediation, Waste Classification and Oil Spills. Everything you ever wanted to know about these subjects but were too afraid to ask! Soilutions are a dynamic group of experienced specialists providing services to a range of customers in highly regulated industries.